in Concord on May 11, 2018. Check out the recap and view the slides! 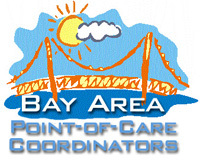 About BAPOCC: The Bay Area POCT Coordinators (BAPOCC) group represents a number of hospitals in the surrounding silicon valley area of northern California. We have been in existence since March of 1997 and maintain a member database with program details for networking purposes. For more on BAPOCC, contact Robyn Medeiros, BS, MT (ASCP), CLS, CPOCS.